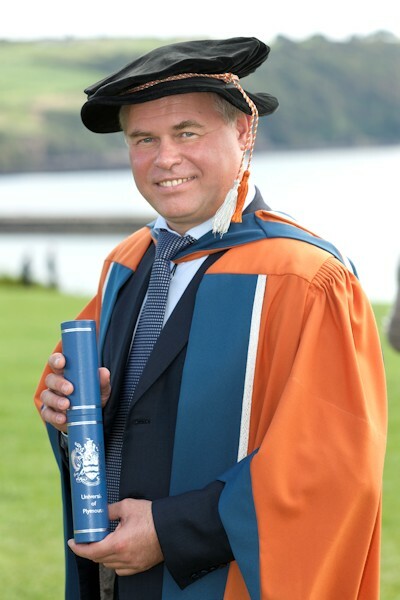 Euegene Kaspersky, Founder and CEO of Kaspersky Lab was awarded an honorary doctorate in September 2012 in recognition of his significant contribution to the world of IT security, Kaspersky Lab's founder and CEO, Eugene Kaspersky, accepted an Honorary Doctorate of Science degree from Plymouth University. The doctorate acknowledges Eugene's early pioneering work in antivirus software and his dedication to ensuring the protection of hundreds of millions of Internet users. 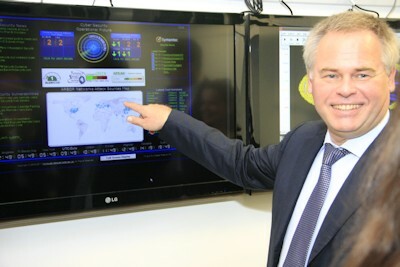 Eugene Kaspersky is a mathematical engineer who has developed some of the most advanced anti-virus software in the world. He graduated from Moscow's Institute of Cryptography, Telecommunications and Computer Science in 1987 to start work at a multi-disciplinary research institute. It was there that Eugene first began to study computer viruses. In 1989 Eugene detected and analysed the 'Cascade' virus on his computer, and developed a disinfection utility for it. He started collecting malicious programs and disinfection modules for them, and this exotic collection would go on to become the foundation of the Kaspersky Anti-Virus database, which today includes more than eight million records and 94 million samples of malware, and is one of the most complete antivirus databases in the world. Eugene joined the KAMI Information Technologies Centre in 1991, where he and a group of colleagues developed the AVP antivirus project, which became the prototype for Kaspersky Anti-Virus. International recognition of the project arrived in 1994, when the virtually unknown AVP won a contest conducted by Hamburg University's test lab, demonstrating a higher virus detection rate than the most popular antivirus programs at the time. In 1997, Eugene and his colleagues decided to establish an independent company, becoming the founders of Kaspersky Lab. From that moment, he has headed the company's antivirus research and was named CEO of Kaspersky Lab in 2007.